In order for a food product to have “Organic” on the label it must meet requirements laid out by the United States Department of Agriculture (USDA). The USDA does not interact with growers or producers itself, but accredits other organizations to certify foods as being “Organic” using USDA standards. Crazy Dog Organic Train-Me! Treats are Certified Organic by Oregon Tilth, one of the largest USDA NOP (National Organic Program) accredited certifiers. 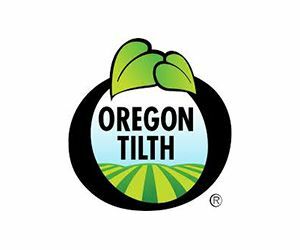 You can see this at a glance by the large Oregon Tilth Certified Organic seal that’s on every package. Available in Beef or Chicken varieties, Crazy Dog Organic Train-Me! Treats are made with real, organic beef or organic chicken as their #1 ingredient. This makes them rich in protein and gives them a mouthwatering aroma and taste that dogs can't resist. Pet parents will also be pleased to know that the treats are Animal Welfare Certified and use only ABF (antibiotic-free) beef and ABF cage-free chicken. Along with organic beef or chicken, Crazy Dog Organic Train-Me! 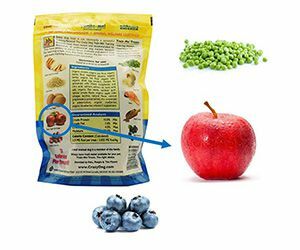 Treats are loaded with organic veggies, fruits and grains, including organic pea flour, barley, oats, cranberries and blueberries. This wide variety of organic ingredients adds to their healthy goodness and flavor, providing a delicious treat that's also a great training motivator. As an added benefit, Crazy Dog Organic Train-Me! Treats help keep dogs' coats and skin healthy and glowing, even as the dryness-inducing colder weather sets in. 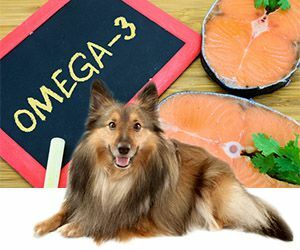 That's because we've included non-GMO Salmon and Salmon Oil in the recipe. Not only do they add flavor, they're also rich in healthy Omega fatty acids, which nourish, moisturize and beautify the hair and skin. 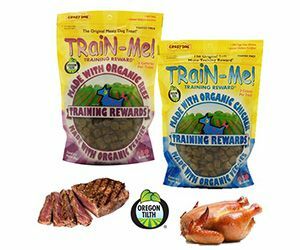 If your pup is headed "back-to-school" this fall (whether you're taking her to a training refresher course or doing the teaching yourself), you won't find a better training reward than Crazy Dog Organic Train-Me! Treats. 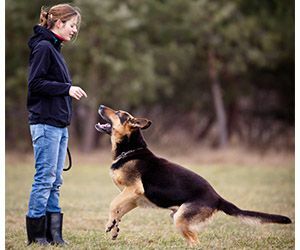 Their scrumptious aroma and flavor immediately capture dogs' attention and motivate them to learn. Plus they're available in a Mini size at only 1.7 calories per treat, so they can be given repetitively to reinforce behavior during training without worries about weight gain.